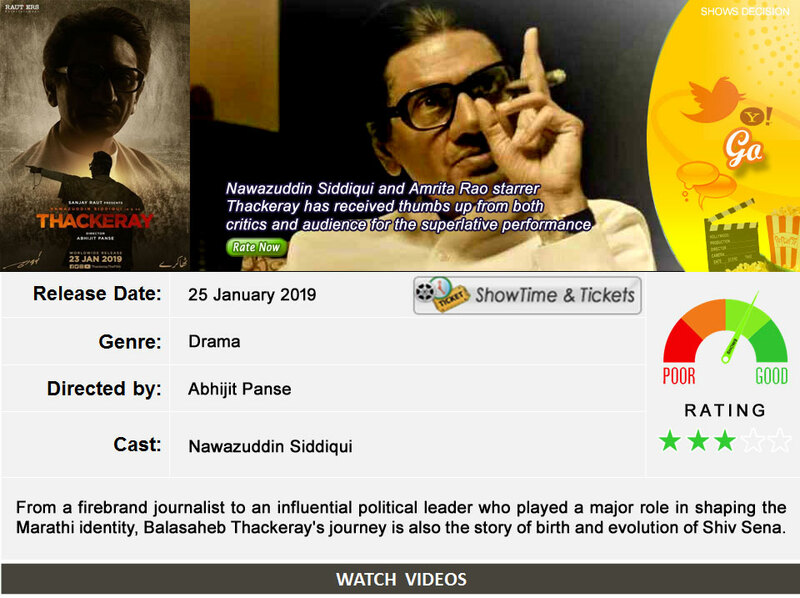 Thackeray is a bilingual biographical film made concurrently in hindi and marathi. it depicts the life of bal thackeray, the founder of the indian political party shiv sena. the character is narrated by actor nawazuddin siddiqui who hold a formal position; with actress amrita rao as his wife. the storyline revolves around portraying birth and evolution of shiv sena. it is not an unseen fact that filmmakers today roll out biopics instead of baseline themed ideas; revolving around prominent faces.